Human Health- Of all the treasures on the earth, sound health is the greatest treasure. A healthy man can enjoy all the pleasure that nature has bestowed upon man and man has earned for himself. Health is defined as a state of body and mind where there is a balance of certain humor. A complete physical, psychological and social state of existence. Balance diet, Personal hygiene and regular exercise including yoga are very important to maintain good physical and mental health. If we try to understand ‘health’ we will realize that it always implies the idea of ‘ being fit’. Early Greeks LIKE HIPPOCRATES as well as INDIAN AYURVEDA System emphasized that health was a state of body and mind where there was a balance of certain humor. 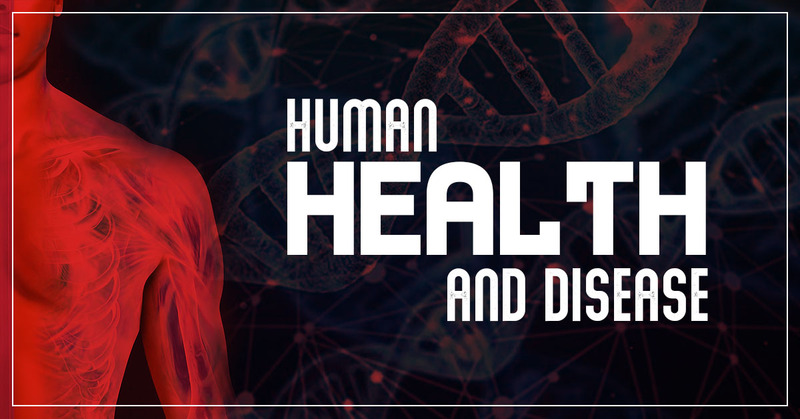 Human health is affected by Genetic disorders, Infection, Life Style. It is a protozoan disease, caused by various species. These species cause a different type of malaria. From the blood, they enter into liver cells and multiply within the liver cells. They repeatedly attack red blood cells, multiply and cause them to rupture. The overall ability of the host to fight the disease-causing organisms provided by the immune system is called IMMUNITY. Immunity is of two types. It is the most dreaded disease of human beings. It is a disease in which the normal cell transforms into the cancerous cell which has lost the control and regulation and have uncontrolled cell division. Drug Abuse has been on the rise especially among the youth. The commonly abused drugs are opioids, cannabinoids, and coca alkaloids, etc. Majority of them are obtained from flowering plants and a few from fungi.